This trip has already been a mind boggling, roller coaster, jumping thru flaming hoops as our group begins to create a new team. We started with 5 guys who were ready and more than excited to ride 5 bikes into South America. 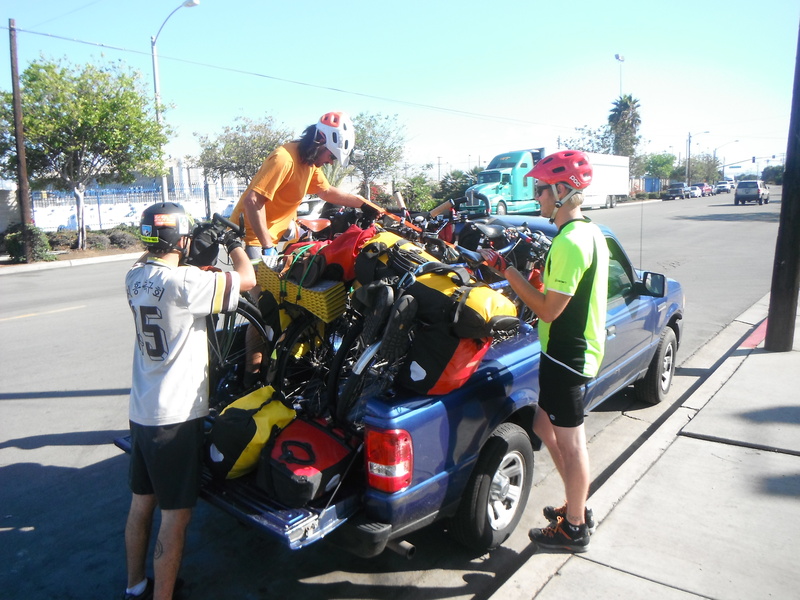 After a few days in Pacific Beach, we were dialing our bikes and awaiting Henry and B-rad to arrive, we found that one of the bikes had been taken from the truck. B-rads new Surly tour bike had been stolen from the truck. With 2 locks cut, all that was left was Henry’s old school Shwinn bike. The team was devastated by this incident and breaking the news to b rad was one of the hardest things to do. In saying this we would like to help raise funds to get b rad a new bike and help him get on tour with us! We will have a paypal account set up on the page sometime soon. our team about to head out from Gregs crib on the beach.. Wish you were here B-rad! 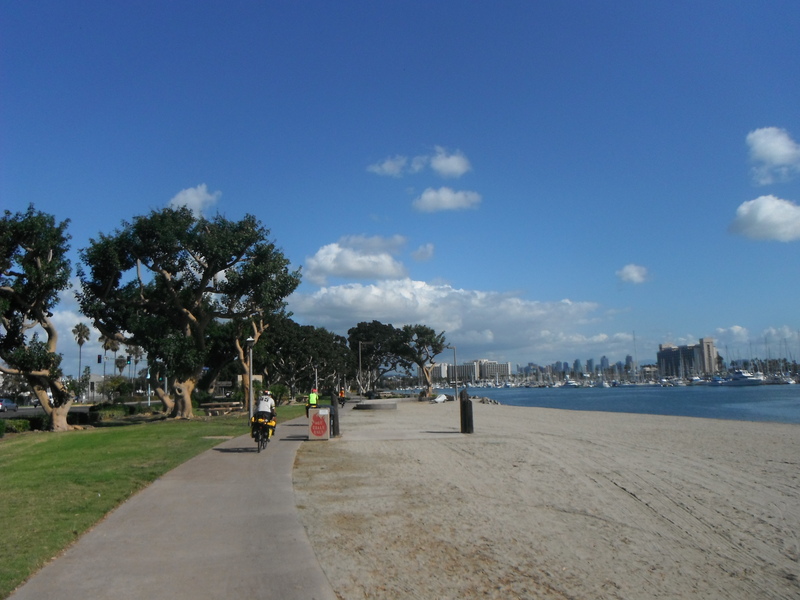 Besides this extremely unfortunate event San Diego has been a great experience. We have met a bunch of cool people who have helped us out tremendously! All we have been eating is tacos. Fish Tacos, carne asada, cali burritos left and rooight! We had to make it to Rosarito Mexico to chill at Tommys aunt and uncles quite swanky timeshare on the beach by the 29th. We were running a little behind schedule and Heinrich had to get some last minute supplies in town (thanks Prudence for the lift!) Realizing the dangers of crossing the Tijuana border in the afternoon and conflictions with not being able to bike on the toll road out of TJ we decided to take up an offer from our new friend Christian who used to live in TJ. 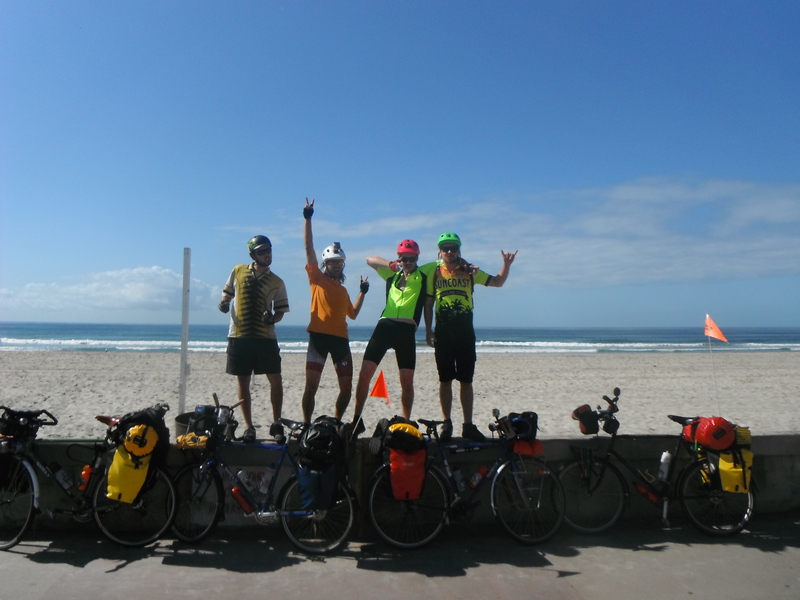 We decided to cycle out of San Diego and catch a ride through TJ to Rosarito. This ended up being a great idea as the directions we had for cycling TJ were outdated and we would have had to illegally ride the toll road which might have ended up with confrontations with the law. Irregardless it was a crazy drive through TJ, 4 bikes in the back of a Ford Ranger single cab pickup, Ike and Brady in the bed underneath camouflage jackets, and Hen, Tommy, and Christian in the cab. Cruising through the border into MExico was rather chill as we told the border we were part of the mexican bicycle club riding Baja and some of us didn’t even have to flash our passports! I don’t think they wanted to deal with our heavily loaded bikes and multitude of bags! 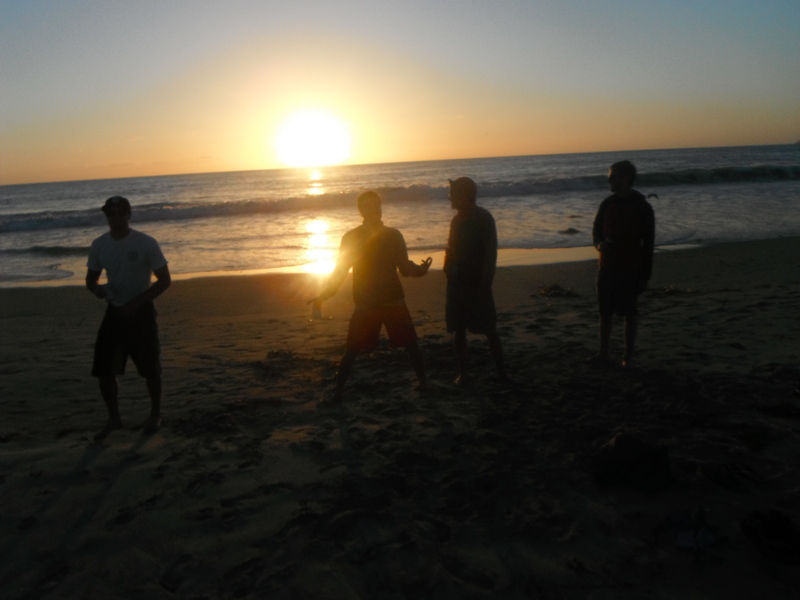 Once we got to Rosarito, we chilled by the beach and ate some more bombass fish tacos, cervezas, tequila and hung out with Jose at the restaurant. Hen told him to only speak spanish to us as Baja is very americanized which helped get us back in the groove of speaking espanol and local culture. After finishing our tacos one of Jose’s friends a local priest, blessed our journey. Once we finished grubbin we said peace out to Christian who helped us out big time with his local beta. Tomorrow we will make the 80km push down to ensenada the home of FISH TACOS. Being the super tasters that we are; we understand the value of great food! After a weird departure we officially will be on the road manana!